Being a Hyderabadi, I wonder how I forgot to post this recipe. This is my hubby's favorite dish. He will not wait for a second form the time it get's ready. He will not allow me to decorate the plate either, he is that much eager to have it. When ever he have this Biryani, he remembers his college days. He says the he used to have it thrice a week when he used to study his B.tech in Osmania Engineering college. He loves a special type of Hyderabadi biryani that is available in a hotel named Bavarchi and the biryani is called Bavarchi biryani. I think if a person is a non-vegetarian, I bet there will be no person in Hyderabad who have never tasted this. 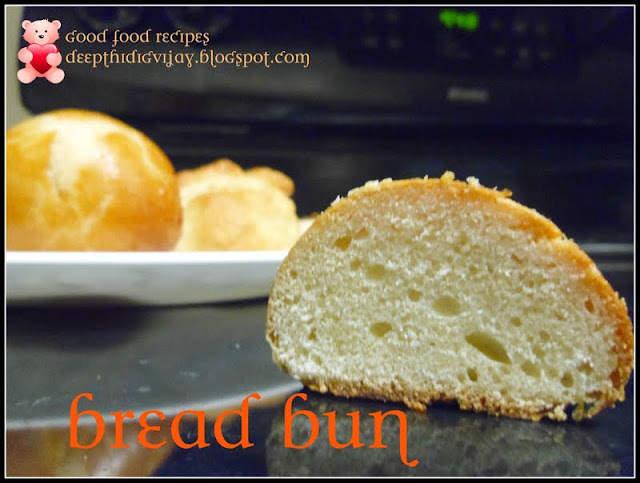 Now coming to recipe. Wash and cook the rice till they are 70% done, by adding salt to taste vegetable oil. When the rice is ready, filter water and keep rice aside. Now take a baking tray and line with silver foil, and arrange half of the chicken as a layer in the bottom and add rice on the top, next add the remaining chicken on the top of it, finally cover with remaining rice. In this way you prepare an alternate layers of chicken and rice where chicken is at the bottom. On top of it, you can just add fried onions, little pudina and coriander/cilantro and add some oil on top. cover tightly with silver foil. Pre heat the oven at 350F and cook for 45-1hr. Check before you serve and cook for few more minutes if it is not done. Wash and cook the rice till they are 70% done, by adding salt to taste vegetable oil. When the rice is ready, filter water and keep rice aside. Now take a cooker/vessel and line with silver foil, and arrange half of the chicken as a layer in the bottom and add rice on the top, next add the remaining chicken on the top of it, finally cover with remaining rice. In this way you prepare an alternate layers of chicken and rice where chicken is at the bottom. On top of it, you can just add fried onions, little pudina and coriander/cilantro and add some oil on top. cover tightly with lid. Cook under high flame for 5minutes, medium flame for 10 minutes and low flame for 30-40 minutes. Close the top of the cooker with some wheat flour but do not keep whistle on it. And if you cook it in a vessel apply wheat dough on sides of the lid and seal it tightly with lid. Wat an authentic dish, i enjoyed having Hyd Paradise hotel's briyani this time..Super inviting briyani..
Amazing and flavourful recipe! Love this rice recipe! Thanks for sharing! Once I start eating this I can't stop one of my favs spicy and yummy. 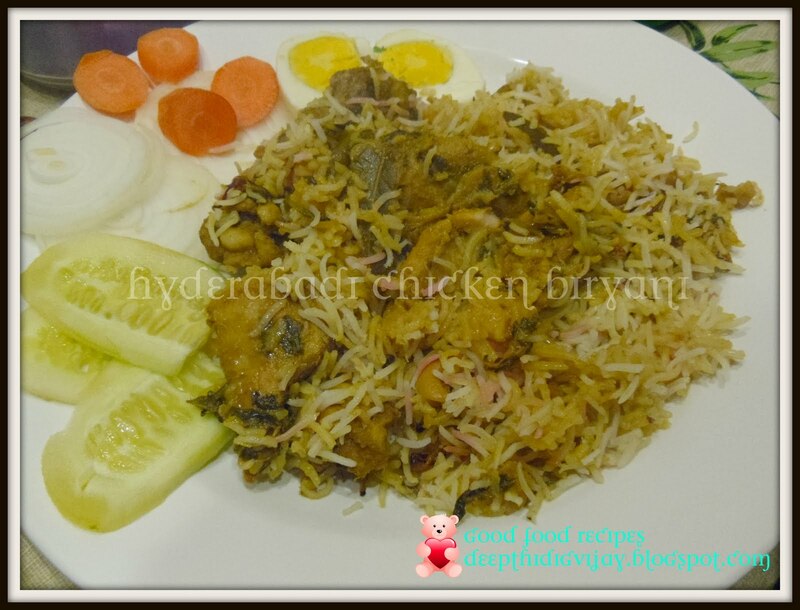 Has always been a fan of Hyderabadi biryani your biryani looks awesome. Hyderabadi biryani looks so tempting....my fav too...spicy yummy biryani!!! 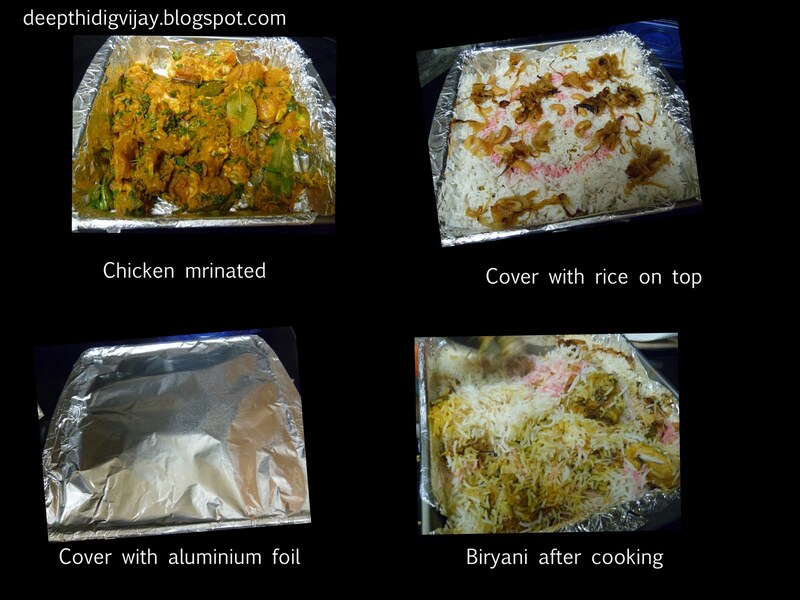 Biryani looks so flavorful and delicious..lovely recipe...thanks for sharing!